It's no secret: injuries can really get in the way of your fun. And if an injury stops you from doing something like participating in a sports league, achieving a fitness goal you've set for yourself, or even getting to work every day, it's particularly devastating. Movement is a big part of our lives, so loss of motion can present all kinds of difficulties, stresses, and barriers. 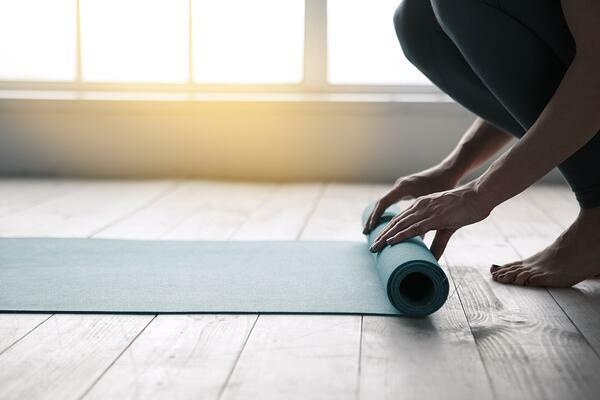 While it's always best to follow the care and recovery plan that your doctor provides, we encourage you to consider yoga as part of your recovery. With a doctor's support, yoga practice can be incredibly beneficial to anyone healing from an injury. Here's why. Yoga respects your limitations. It's not about pushing you to your breaking point or "winning"--yoga is about gently discovering what your body is capable of. During yoga practice, your body should be your guide, which makes it a highly individualized form of exercise. Self-knowledge and self-respect are integral parts of yoga practice. Yoga strengthens. If an injury has limited your activity, your muscles may be suffering. Yoga may not be the strenuous, sweat-filled workout you are used to, but it's still a low-impact form of strength training. In fact, it's particularly known for developing core strength. Keeping your core strong will prevent future injuries and help you get back on track faster when you do return to full activity. Yoga restores. The combination of focused breathing and gentle movement in yoga is known for it's ability to calm the mind and restore the body. Studies have shown that regular yoga practice often results in significant improvements in sleep, appetite and general well-being. These are things that are often lost when you are struggling with the pain and frustration of an injury. Additionally, the gentle stretching and strengthening of muscles with yoga increases blood circulation, which in turn brings healing nutrients to injured tissues. 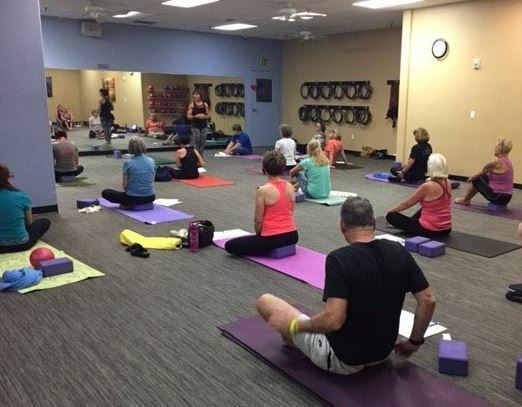 Our gentle yoga classes at Cal Fit avoid inverted poses, which is perfect for first-timers, those recovering from injuries, or anyone that wants a kinder approach to the practice of yoga. You might also consider attending one of our upcoming yoga workshops, to learn more about the practice. Try our Yoga Basics workshop (pictured above) or Yoga and Meditation. One important note: let your yoga instructor know you are recovering from an injury. Our knowledgeable instructors have many options for modifying poses so that you can practice comfortable. They may even have suggestions for postures that will help to alleviate pain or pressure.